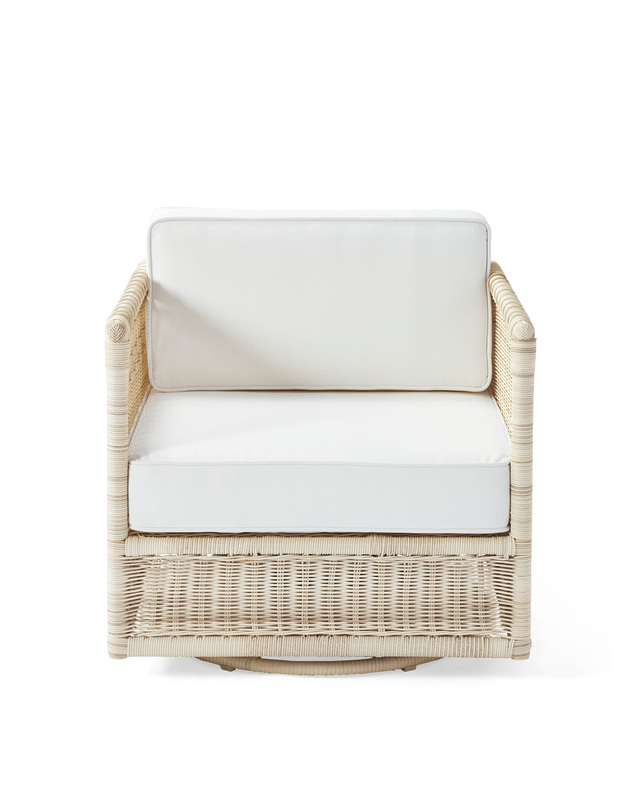 Pacifica Swivel Chair - DriftwoodPacifica Swivel Chair - Driftwood, alt="Pacifica Swivel Chair - Driftwood, "
Print We’ve given our Pacifica Chair a fresh spin – the ability to swivel on a dime. 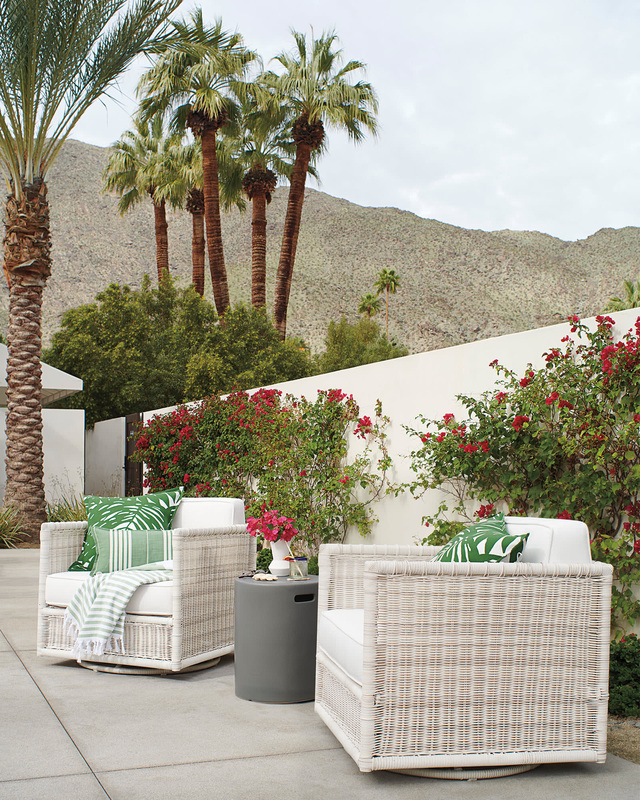 Like the coordinating pieces in this collection, it has that salty, familiar vibe we love in our outdoor furniture. 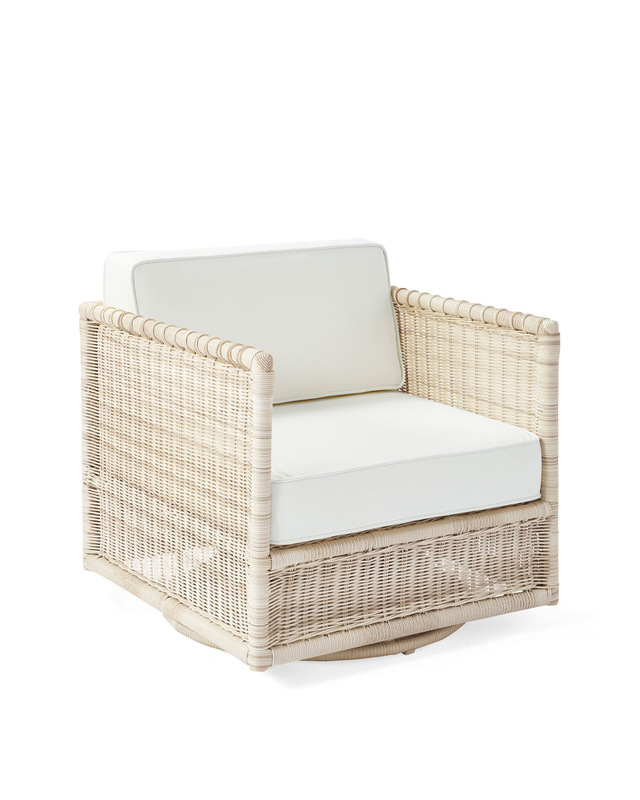 And it’s crafted with the same beachy resin wicker (in the same exclusive Driftwood finish) that captures the sun-bleached look of weathered rattan. 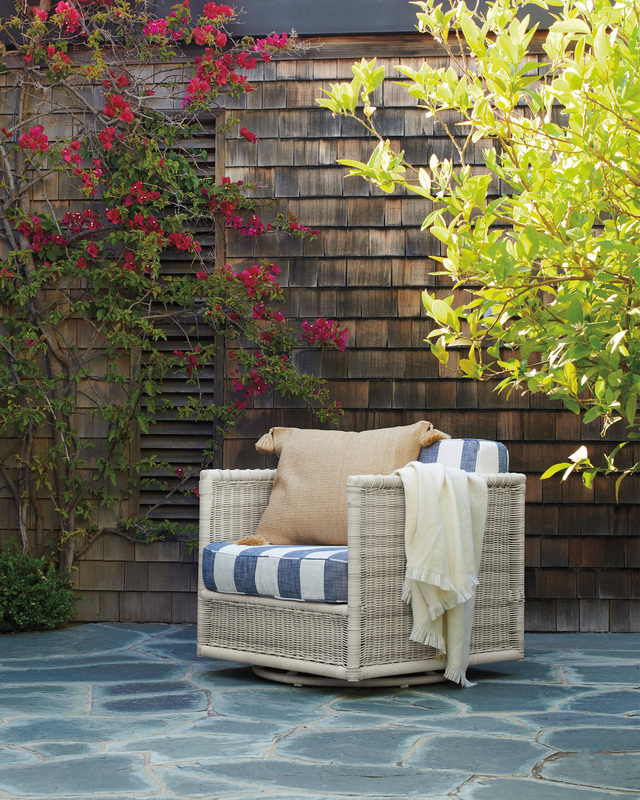 Cushions decked out in an all-weather fabric give a tailored touch. Just the thing for your life alfresco. Overall: 32"W x 33"D x 28"H.